Digital transformation - What's the big deal about it? Let’s get that straight. Personal computers have been on our workplaces for 30 years. We all have been using email and the world wide web for 20 years. So why are we talking about digital transformation now? What’s the big deal about it and how will our lives look like in a few years? Since 1999 Armin Bonelli works in the area of tension between identity and brand. As Partner Brand Consulting he takes care of brand communication at Factor in Vienna. Digital transformation – Just a buzzword? Is it about self-driving vehicles and robots walking among us? Hard to believe. Robots have been present in literature and popular culture since the early 20th century. 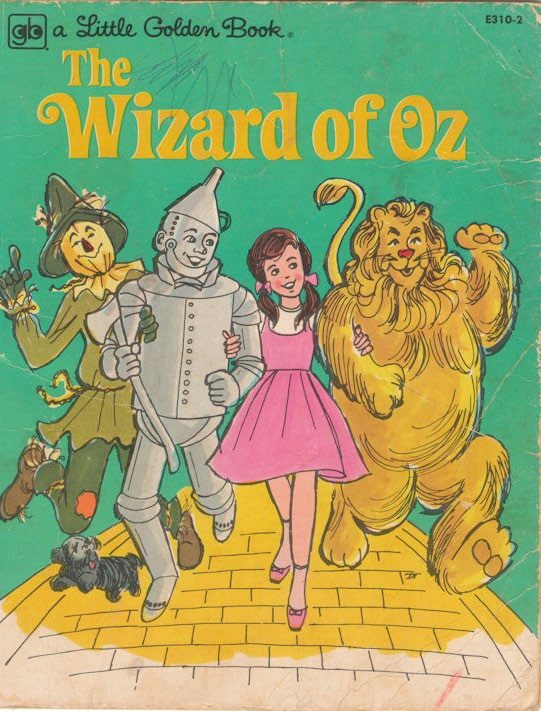 On the cover of the first edition of the Wizard Of Oz we can see the Tin Man, a sort of robot. It was published in 1880. The concept of artificial intelligence was ready to go in the 1960ies. The first AI-software was called Eliza, created by Joseph Weizenbaum at the MIT. I “talked” to Eliza when I was aged twelve. Eliza impersonated a therapist and asked me things like: Do you have any psychologic problems? She would answer, after about one minute thinking, sometimes rephrasing my sentences, just like therapists do. In fact, Eliza had no clue what I was talking about. Has anyone ever seen a machine, that appeared somehow intelligent? Artificial intelligence, however, is said to be the key to a paradigm shift we will be facing in the next decade. The next technological revolution, the era of automatisation, is said to change the way we work and the way we live. 40% of our jobs are at stake. Some state, it might even be 70%. Hard to believe? And if so, why now? I figured out, there is indeed a reason why it took us so long to get there. And why we are actually likely to face major changes in the next five to ten years. You still drive your car yourself? Let’s see, why there are no self-driving cars on our streets by now. In a nutshell: we need three qualities to drive a car: first, we need muscles to move steering wheel and pedals. That can be done mechanically, no big deal. Second, we need sensors like eyes to receive information about the situation on the street. And third, we need to compare the information gathered with our memories of similar situations. And all these three steps need to be processed in real-time. Why couldn’t they do it by now? Imagine you are driving a car and you see a child crossing the street. It is obvious that even a second of delay would cause a major damage. The time from the moment our eyes see an obstacle, through processing the information and comparing it with memories, decision-making until our foot steps on the brake-pedal, takes just a fraction of a second. If it took us longer, our skills would be completely useless. And herein lies the whole problem, why artificial intelligence has been struggling. We usually use five senses to gather information about our environment. And we need to communicate the data to our brain. Machines are able to do this. However, they’ve had performance issues for a long time. Bandwidth for mobile communication devices was poor. We all experienced the problem on our cell-phones. We couldn’t transmit a larger amount information without substantial delay. However, bandwidth and protocols have grown exponentially. Now it works out. After years of driving we have stored tens of thousands of situations in our brain. In order to make valid decisions, we need lots of lots of data. We make experience, we gather knowledge. With machines, we lacked the physical possibility to store all the data, so machines remained somehow dull. However, the amount of data we can store on a memory chip is doubling every year. In other words, it is growing exponentially. Now it works out. We need to go to driving school in order to learn the cognitive principles of driving. We understand the situation by processing the information gathered and comparing it with our memories. We need to do that in literally no time. Until now, computers were simply too slow. It took too much time to process all the information and make a valid decision. However, the processing performance of computers has been growing exponentially. Now it works out. 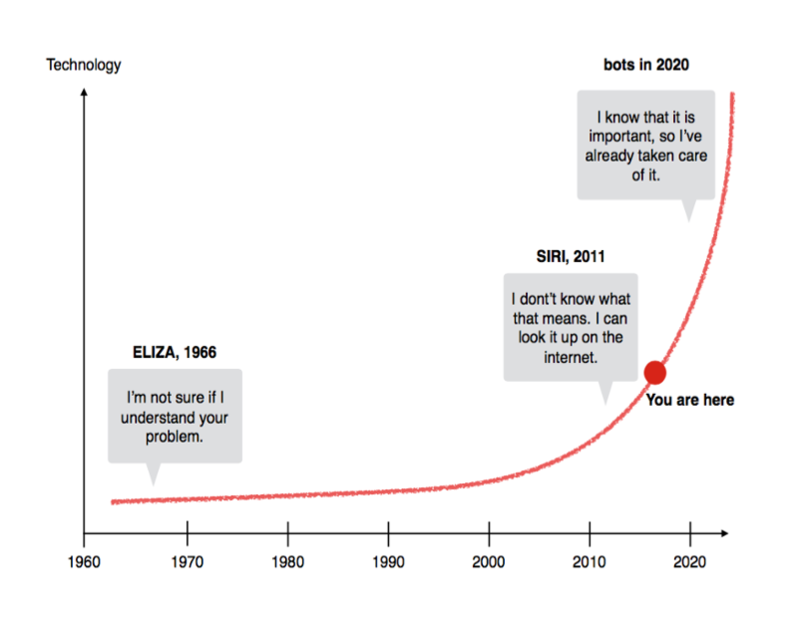 Technology is growing exponentially: The chart shows why we have been struggling for so long. It’s all about our customers. We will only be able to sell what they need or desire. But customer needs are due to change. Remember how many photos your grandparents took in a year? And how many photos you are taking just in a week? We adapted our behaviour, because technology allowed us to. Our grandparents would have invited to a dinner where they presented the slides of their journey. Today we want to share photos instantly with others. Behaviour has changed. But there is more to come. In 1989 Queen sang “I want it all, and I want it now.” Have you told your daughter or son lately, that they would have to wait for a week to get what they asked for? Then you have an idea how customers will behave in the near future. Why is Amazon trying so hard to set up same day delivery? Because we won’t wait for the next day. We want it now. And it is going to give companies a hard time. It will require a high level of automatisation. Years ago I spoke to a guy who ran a manufactory for custom sports-cars. He stated that real rich people won’t settle for an ordinary Ferrari off the rack. They rather go for a unique model, customised to their personal taste. In the near future the rest of us will be demanding customised products as well. Researches say that the price customers are willing to pay doubles when the product is personalised. How will companies respond to that? It is going to require digital communication, easy to use configurators and manufacturing on demand i.e. 3D-printing. When you call a cab, you already see the driver’s name on your device. You know the model of the car and where it got stuck in traffic. Do you know Followfish? The brand stands for sustainable fishing. With a tracking code on every packaging the customer can learn the day the fish was caught, the exact place and I believe even the name of the fisherman. In the near future, we will want to know every little detail about the state of our product in real-time, but also the social and environmental impact of the manufacturing process. If we buy food, we will want to know everything about the farmer and the production chain. We will be able to manage all this by tracking sensors and cameras everywhere, producing loads of data and using wireless communication. The next era is said to be conversational. We will talk to machines, and yes, they are going to talk back. Digital assistants will collaborate with a lot of software modules, computing bureaucratic tasks that till now has to be done by humans. Let’s see how we usually communicate with a company today: You receive an email from your insurance company. The email has been sent by a computer, informing you about an open balance. You want to ask for further information, so you call the number in the footer of the email, which leads you to a call center service. An agent looks up the information required on his terminal. In effect two computers are talking, while two humans play the role of the mere interpreter. In the near future, tasks like this will be the first to be done by machines only. In our example, your digital assistant receives an email (it will not be an actual email, though). Your assistant compares all data available with the claim of the insurance’s system. It will ask you for your permission to act. You might allow the system to autonomously transfer money up to a certain amount after having proved the claim. If you, on the other hand, have a question about a product—let’s say about a new car insurance policy—your digital assistant will gather all the information available on the net. It will contact several insurance companies to compare detailed offers. In this paradigm shift, we will face two major topics. First, a company will have to process a considerable amount of contacts every second. These contacts are initiated by digital assistants on behalf of their respective „master“—aka the customer. The company must now process these inquires at a drop of a hat, hence they need to be processed entirely automated. Apps, Browsers and Mails—for decades we have been using computers and software like we use a pen or a hammer. We use tools to amplify the power of our hands. A hammer however is idle without our hand. A car is standing still, no email is sent, until we decide to take action. In the next years we will stop using tools and rather communicate with autonomously acting machines. They will take decisions within boundaries we define. There won’t be no apps anymore. Why? We will use just one interface at a time providing the gateway to other systems. We will constantly be in touch with a lot of facilities, services and brands. Today, two of three contacts are already initiated by the customer, only a third by the company. We have entered the engagement model. People want to participate in “their” brands and engage with “their” products. Communication and engagement will be one of the biggest topics. More and more companies will focus on the brand experience rather than on the product. As bureaucracy is taken over by bots, human interaction is going to be the new currency when it comes to brand experience. Employees will be mainly brand ambassadors. People skills and EQ will be the major requirements for personnel. Employees will be recruited on basis of their personality and appearance, matching with the company’s brand personality. If you go to the hospital and have an x-ray done, a doctor looks at the picture. With his experience he sees irregularities. Imagine a database with a billion of x-rays. Computers will be able to compare all the x-ray at a drop of a hat and recognise every irregular pattern, more accurate than any medical doctor. We will be able to match similarities of patients all over the world. Diagnosis and research will be a field handed over to machines, delivering the work of a ten-year-study in just a second. What is an expert? A person using pattern recognition, the ability to compare a situation to many others of a kind. If we bring together all data available and a fast computer, you get an even better expert. Now add complimentary data, i.e. weather statistics, information usually not available to a human expert, and you get a super expert. I’ve visited a small company in San Francisco. Chris, the CEO, shows me their product, a black box that processes any kind of data. Among their clients you find a major communications provider. They own a lot of data about all the interactions with their customers, the so called CRM. And they want to know: who is most likely to buy our newest service? Chris’ product is a learning processing unit, that uses a lot of data to answer a question. It identifies 3.000 customers who are willing to buy the new release. The hit rate was five times higher than previous campaigns on target groups picked by humans. Police have been using for years statistical data to predict burglaries. Machines can tell the probability of a crime recognising patterns from other crimes reported, weather conditions, daytime. Predicting human actions on basis of behavioural data will be a major issue for brands and service providers, too. Our body functions will be monitored day and night. They are compared to those of a million other persons. Computers will foresee strokes or other malfunctions hours, even days before they occur. In 2025 nobody will have to die from a stroke. !! Love the problem !! The customers are your pivot. Start with their problems. How will you be able to satisfy their expectations in the future. How would a data company act to solve your customers problems? !! Data is the new currency !! If you had a lot of data about your customers, which product could you offer? How could you collect this informations? 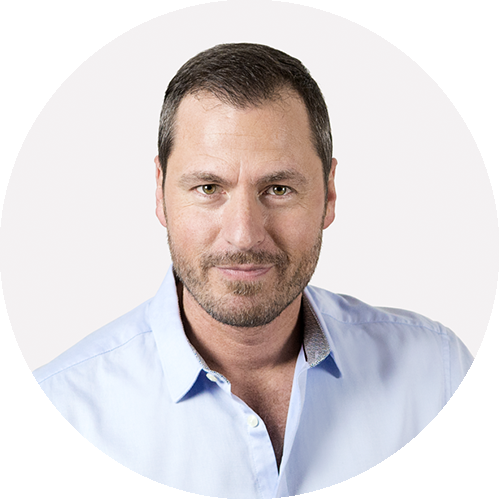 How could you monetise your expertise? !! Build a strong brand !! People don’t buy what you do, but why you do it. Knowing and developing your company’s personality is mandatory. You will be more likely to attract loyal customers and employees. Hagleitner produces soap- and paper-towel-dispensers. The problem of facility managers is that every dispenser has to be checked regularly. Hagleitner decided to go digital. They added radio sensors to their products. The personell now monitors on screens the fill level of every dispenser on the premises and know where to refill next. Hagleitner is able to sell a service instead of a product. Plus: they have collected enough data by now, their expertise is sought after by planners, since they are the only to know the frequency of washing rooms in a stadium during a champion’s league final. A producer of laboratory diagnostics in Germany has recently introduced a new product, combining diagnostic methods with digital services. This new business-model takes the laboratory out of the equation. A testing device combined with a smartphone does the job. The app translates the color of the dipstick returning an accurate value. The values are stored in the cloud to be monitored from anywhere. As an add-on the doctor can be informed automatically, once the system detects a critical value. Lereto has been introduced by a small law-firm based in Vienna, Austria. The idea was simple. Attorneys usually have to work through loads of paperwork, looking up quoted legislation or precedents and merge all the information to the file. This paperwork takes hours and hours. “Lereto” has been developed to do exactly the same in just a few seconds. One more challange was to ensure maximum data security. Introduced to the market in 2015 it gains more and more attention of lawers throughout the country, among an audience, that usually is not eager to adopt new methods and technology. What does it cost? What do we gain? Entering new realms always reports under expenses in the beginning. 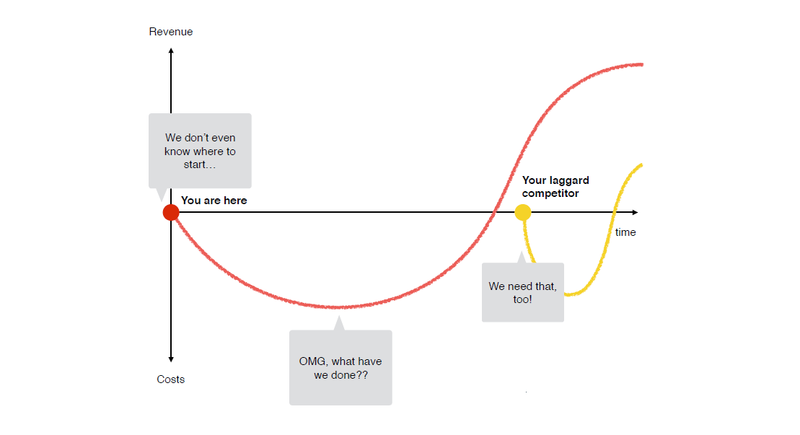 The learning curve might be steep and the outcome not to be known. Like every business case, every new product launched, digitization is an adventure with open outcome. Whatever we decide to do, it will change the place we work and the way we live. MDI CEO Gunther Fürstberger talks about the implemention of OKR, challenges and chances and the results after the first three quarters (which are pretty good, by the way). SCRUM as a method was invented years ago in IT departments. Today it serves as modern leadership and/or project management method in agile teams. MDI leadership Trainer Susanne Spath, OKR certified SCRUM Master, gives an overview. Individual, team, organisation – agile leadership happens on three different levels. Or say: It is possible on three different levels. MDI Managing Partner Alexandra Sock talks about the different challenges and key elements of each level and about the role of leaders in agile systems.